Dirt, debris and contaminants, such as mold and bacteria, settle on all surfaces of the living spaces. The ductwork system is susceptible to the same contamination, but without the benefit of regular housecleaning. Ductwork contamination can adversely your energy bills, the performance of your HVAC system, and even your health. Take steps to prevent dirty ductwork and to ensure more healthful indoor air quality. 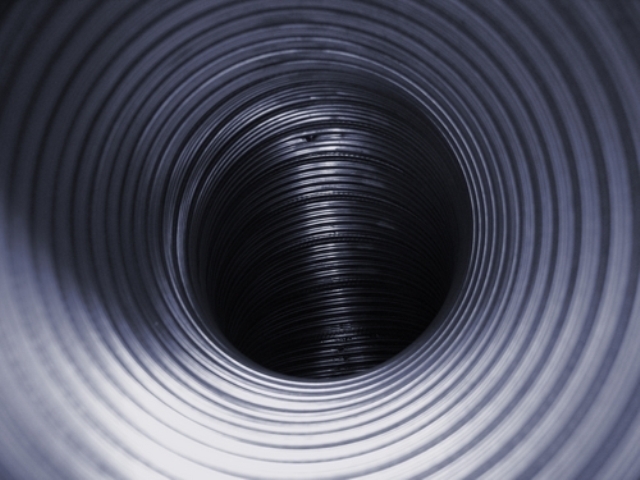 The typical ductwork system is made of square or round metal tubes, return grills, diffusers and other components that provide a channel for conditioned airflow to circulate through the HVAC system and home. The contaminants in household air circulate through the ducts, which can quickly accumulate and cause problems. So, an important step in preventive maintenance for the homeowner is to use a quality air filter, such as a mid-efficiency MERV 8-12, and change the filter regularly. Professional preventive maintenance is another important weapon to fight against HVAC contamination and preventing dirty ductwork. The fall and spring seasons are generally the best times of year to schedule preventive maintenance with your HVAC professional in order to prepare your systems before the height of the heating and cooling months. Professional preventive maintenance entails regular system checks and testing for proper and efficient operation. Preventive maintenance also includes cleaning the components, such as the heat pump or A/C evaporator coil, drip pan, blower assembly and more. When you are undertaking home renovation projects, the construction involved may produce debris, such as sawdust and drywall dust. While you would likely take measures to protect furnishings and belongings from becoming dirty, the ductwork system may be overlooked. Make sure your contractor seals the return grills and diffusers to prevent construction contaminants from entering the air ducts. Also, don’t forget to put tape over the thermostat so that no one turns on the heating or cooling system by mistake when the grills and outlets are sealed. The ductwork system can only become contaminated by the pollutants that are present in the home. Good housekeeping practices positively affect the HVAC system and ductwork. When you are wiping surfaces in your home, use damp cleaning cloths to help prevent dust from becoming airborne. Consider using a vacuum cleaner with HEPA filtration which captures more contaminants. During housecleaning, turn on the HVAC system so that airborne dirt and debris are actually pulled through the HVAC filter to prevent resettling on surfaces. So, make sure you have installed at least a mid-efficiency air filter. Let the HVAC system run for 15 minutes more after cleaning. When weather is nice, open up the windows to allow fresh ventilation, too. Dust and dirt are not the only contaminants in the home. Micro-organisms such as mold spores and bacteria are everywhere. Mold, mildew, and bacterial growth on HVAC components and the ductwork system create foul odors, reduce efficiency and creates health issues. Moreover, mold spores in the air ducts are re-circulated through the home where they can grow on furnishings and possessions and cause structural damage. So, again, preventing dirty ductwork with a good air filter is important. The National Air Duct Cleaners Association (NADCA) recommends ductwork inspections for new installations, retrofits and existing systems based on many different factors regarding household occupancy, the types of activities and contaminants in the home and more. If you have not performed a ductwork inspection in recent years, include an inspection during your next HVAC service call or preventive maintenance visit. For new construction and renovations, the ductwork should be thoroughly cleaned to remove any oily residues, drywall dust, dirt and other contaminants that may exist from exposure to manufacturing, construction and materials. Make sure the HVAC contractor you choose is experienced with ductwork inspections and ductwork cleaning best practices. Preventing dirty ductwork with professional preventive maintenance, regular air filter changes, and good housekeeping practices offer many benefits. You will enjoy better indoor air quality by preventing mold, mildew and bacterial growth in the air ducts and on the heating and cooling equipment. Heating and cooling efficiency are better when the ducts and components aren’t caked with debris, and you may avoid major ductwork problems. Your HVAC system will perform more efficiently as well. For other helpful HVAC tips, and more expert advice about preventing dirty ductwork, please contact JD’s A/C at 903-374-4012. Our technicians can provide a variety of services and equipment that can significantly improve the quality of your indoor air.